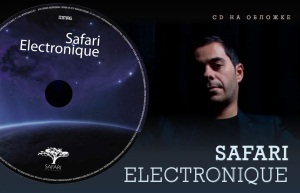 Safari Electronique boss Arnaud Le Texier had been asked by Dj Mag Russia to mix their latest covermount CD. He decided to offer a glimpse from the ever growing back catalogue of his label. The CD is available from the January 2011 issue of Dj Mag Russia. Check below the tracklisting and Arnaud’s own commentary on the mix (in Russian). This entry was posted on January 10, 2011 at 11:00 and is filed under News.